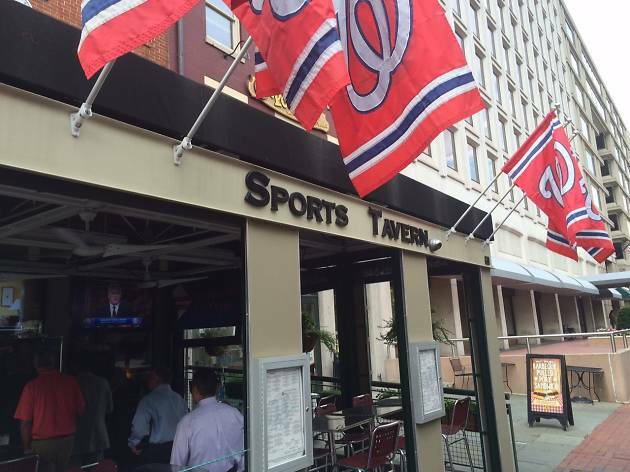 Penn Quarter Sports Tavern | Bars in Chinatown, Washington, D.C.
You know you’re in premium game-watching territory when team flags line a venue’s exterior (Seattle Seahawks, Chicago Bears, Denver Broncos, Ole Miss and Texas A&M fans all watch matches here). 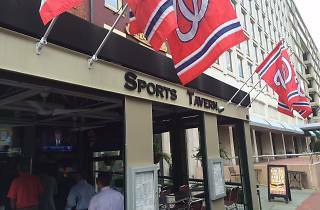 This is a no-frills place: Cold beer, game-day drink specials, wings, burgers and other bar food, and plenty of TVs (including some on a heated patio and porch for winter watching). Let’s face it, you’ve been to a place like PQST before, and that familiarity is A-Okay by us.